“Fertile soil, favorable climatic conditions, flowing rivers and streams makes Bihar state rich in resources required for agriculture. In spite of all these positive conditions and growing good quality fruits and vegetables the economic condition of farmers was not good (poor). Similarly vegetable vendors too were suffering with negligible profits earned even after working for more than 12 hours. On the other hand the consumers were paying high prices for the vegetables and fruits. So where was all the money going? The beneficiaries in the entire supply chain were only intermediaries and middlemen. Being son of a farmer I was aware of farmers’ hardships and was determined to bring an affirmative transformation in their lives. It could be done by re-establishing the distribution system of fresh vegetables and fruits that could help farmer earn better. I had to set-up a system to sell whatever was produced by the farmers therefore Kaushalya Foundation came into existence,” shares Mr. Kaushlendra, Founder and Managing Director. Kaushalya Foundation, non-government, not-for-profit organization commenced its operations in the year 2007 with the sole aim to transform the economic condition of vegetable farmers and vendors in Bihar. 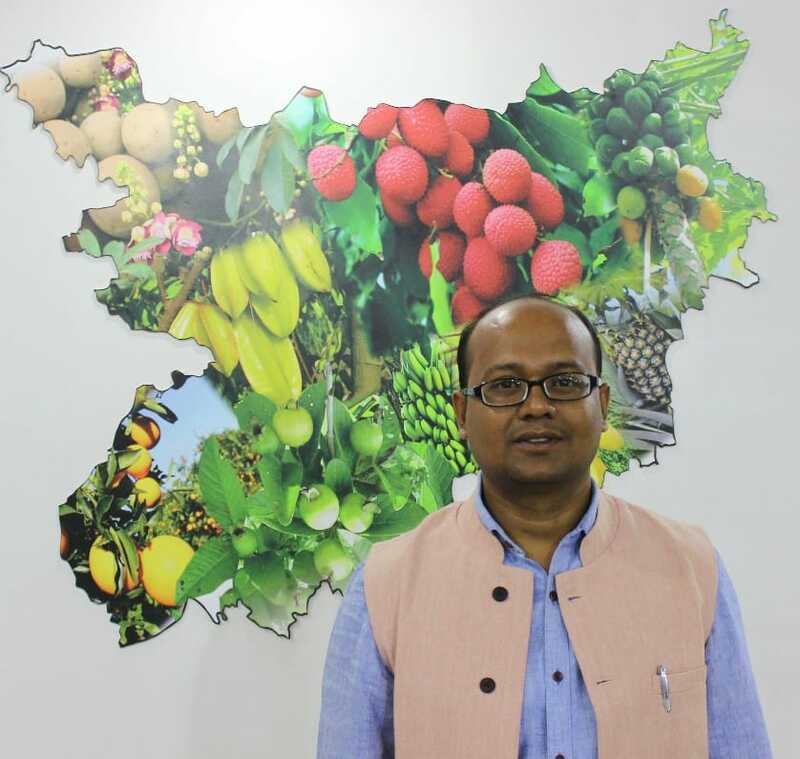 Located at Patna, till date the company has been successful in re-structuring the supply chain of fresh produce by connecting the market place and growers. It has been facilitator of change in the lives of 22,000 farmers so far, most of them having the landholding of less than 2 acre. Mr. Kaushlendra also started Knids Green in 2008 for marketing and supplying fresh vegetables and fruits to end consumers in refrigerated push carts branded as Samriddhii and also institutional sales to B2B segment. Later the product line expanded to grains and pulses too. “We had to serve the farmers by finding the market for their entire farm produces therefore product line expansion took place on its own,” he asserts. To begin with in 2007, soon after receiving gold medal for securing first position in PGP-ABM 2007 batch at Indian Institute of Management Ahmedabad, Mr. Kaushlendra denied all the lucrative job offers and travelled extensively in remote areas of Bihar to interact with the farmers and understand entire supply chain meticulously. After understanding the loop holes in the unorganized system he started aggregating the farmers by making farmers’ producer company and brought them on the same platform with vegetable vendors and subsequently the buyers. Rest all the intermediaries and middlemen in the supply chain were eliminated. “Farmers sold their produce at the village level collection center Samriddhii Grameen Kendra (SGK) and the commodities were sorted, graded and transported to Distribution Center (DC) from where the produce was sent to Samriddhii City Centers (SCC). At SCC once again the produce is sorted, graded, packed and given to vegetable vendors to be sold end consumers. In order to uphold the freshness of vegetables and fruits the vendors were given push carts having the facility of chillers,” he elucidates the procurement and delivery system. SGK also holds responsibility of supplying the agri inputs and information on high-yielding, high in demand crops to the farmers. “However the decision on crop selection lies with the farmer. We provide the information on profitable crops but he needs to decide what he can grow. Farmers’ caliber and skillfulness in growing fruits and vegetables is deeply respected. As I am being brought up in village I understand their mindset and constraints so allow them to take the final decision. After all it is not only about earning money when deciding the crop, it also includes many other factors such as season, soil, water etc. Our aim is to help farmers produce and sell what they can grow,” insists Mr. Kaushlendra. The vegetable push carts are lined with cooled ethylene glycol in each of its 20 compartments. Vegetables are kept in these compartments that ensure the freshness of these perishable products is upheld. Every day after calling a day, the vegetable vendors park the carts at the SCC and ethylene glycol packets are stored with ice manufacturing companies. “We have entered into partnership agreement with these companies. To cater to B2B segment we have similar arrangement in the trucks too en route to Patna and other cities,” he states. Company sales operations spread across Bihar and Jharkhand while B2B segment also extends to Kolkata, Mumbai and Delhi. 80-85 employees make up HR strength of the company. In future Mr. Kaushlendra intends to connect with more farmers in Bihar. “22,000 is a small number for me so let us add one more zero to it. We have become knowledge partners to other farmers in other states but not have the direct intervention. We were focused on economically empowering farmers in Bihar and will be working with Bihar farmers only,” he highlights.